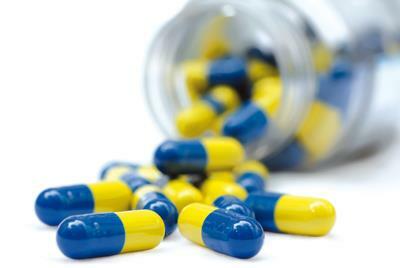 If you need to take medication regularly your GP may agree to authorise a ‘repeat prescription’. With each prescription you will receive a tear off slip which lists your repeat medication and you may request a further supply by ticking the appropriate items and crossing out those you do not require that time. Please leave your request in the box on the outside of the building, or post it to us. If you want your prescription sent to you please provide a stamped addressed envelope and remember to allow extra time for posting. Alternatively you may order online via the link at the top of this page. New users are required to register prior to using the service. The registration process is detailed under the Appointments tab. Please note we do not accept requests by telephone or fax for repeat medication. Please don't wait until you have run out of medication before requesting a new prescription. We will need 2 working days (ie not Saturday and Sunday or a bank or public holiday), to issue the prescription. For example medication requested early on Monday morning will be ready on Wednesday, late afternoon; medication requested early on the Tuesday morning will be ready on Thursday, late afternoon etc. If you order your repeat prescription in person or by post and want Elgon Chemist to dispense it, please write ‘TO COLLECT FROM ELGON CHEMIST’ on the top of your repeat request form, before putting it in the repeat request box or posting it to the surgery. This will speed up the process for you as your medication will have been made up and be ready for collection. Patients on repeat medication will be asked to see a GP, Nurse Practitioner or Practice Nurse at least once a year for a medication review, and notification that a review is due should appear on your repeat slip. Please ensure that you book an appropriate appointment to avoid unnecessary delays to further prescriptions.